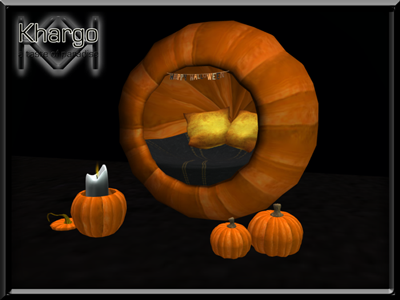 It must be the witching hour as our popular Cuddle Ball Seat has turned into a Pumpkin! Celebrate this spooky season by cuddling up with your loved one in this cute cuddle ball. The perfect Halloween gift or for yourself as a snuggly hideout from ghosts, ghouls and things that go bump in the night! The Halloween Pumpkin Cuddle Ball has 16 cuddle poses and is only 13 prims.